Whenever we have heard a story more times than we can count, our memories of the story being told mix with the story itself, until we are no longer able to separate one from another. This happens especially with well-known Bible stories. After hearing about these narratives ad nauseam from children’s ministry through Sunday sermons, there comes a point when we stop reading them for ourselves. They are old hat. We know them. 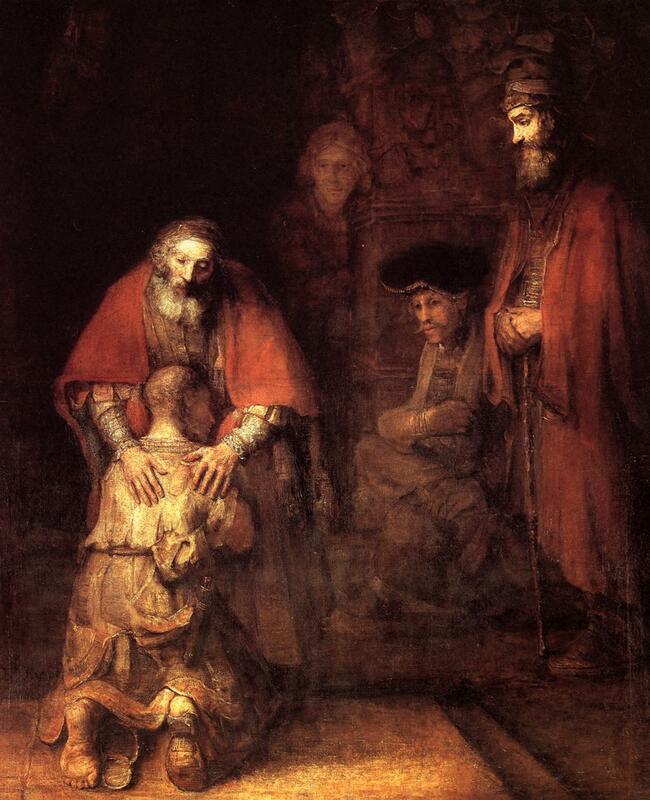 Perhaps one of the most common is the story of the prodigal son. It is that most common illustration from Luke 15, about the boy who goes off in sin and squander, a father who is so happy at his return that he runs to greet him, and a son that is so judgmental and arrogant that he misses the party. The one in which we all despise and look down upon the older brother for being so full of himself. Yet, the text does not say he was judgmental. It says he was angry. I think there is a big difference. Judgment comes from a place of pride. It is the feeling that comes when we think we know better than someone else about what should be done in particular situation. Anger comes from a place of hurt. It is the emotion that rises when we feel we have been wronged in some way. The only other time the Greek word for angry used here (orgizo) is used in the book of Luke, is in the parable of the dinner in Luke 14, when the landowner becomes angry that none of his guests accepted his invitation. He is feels hurt and overlooked; anger is his emotional response. In all my years of being exposed to the parable of the prodigal son, I don’t know if I’ve ever seen the older brother painted with the brushstrokes of compassion. I wonder, did the older brother avoid eye contact with his Father as he spoke these words, for fear that he could not hold back the tears if forced to look into His eyes? If I put away my judgment, if I stop assuming I already know the heart of this cruel and shrewd brother, I am able to hear myself in his words. We like to talk about how much we love God’s grace. That’s easy to say when we feel how deeply we ourselves have been the recipients. But I have sometimes been hurt by God’s brutal grace. That’s right, I called it brutal. Can we be honest and admit that’s how it feels sometimes? That it stings when we watch others receive what we always longed for, and we feel left behind? When we see a friend receive, without asking, and maybe without even wanting it, the thing we have prayed to have for more years than we care to admit. When we watch seemingly undeserving people get thrust into the spotlight while our hard work seems to be unnoticed. Or when God seems to show up so visibly, so tangibly, for everyone except us. Grace is not fair. The younger brother did not deserve a party. The older brother did. That is what fairness would have looked like. I can understand why the older brother would be hurt to the point of anger. Somehow, his relationship with his Father had to break open to a place it had not yet been. He needed to trust his Father not on the basis of His equality, but on the basis of His love. That is a harder place to get to than we sometimes admit. Until we are ready, God remains sitting next to us on the step of that porch, patiently waiting for us to hear His words of grace for us.